The Grass Clippings Blog is here to provide news and information about grass care. We will write about the things that we like and are happy to put forward to our readers and sometimes the things that we are not so keen on and may wish to make a comment or two so as to be thought provoking to our readers. We will always try to be technically correct, present both sides of an issue and have a rant if there appears to be a problem. We really welcome feedback and comments which is after all the concept of a Blog site. We will give you an insight into some of the main players and companies in lawns and keep you up to date with recent developments on products and services. We will focus on the subject of lawns and grass in the media which is not widely talked about, whether at a professional or amateur status. The aim of our Blog site is to provide a non technical information on the subjects of lawns and their care. Mike Seaton (on the right) has built up an enviable practical, technical and commercial knowledge of turf culture and pesticides. 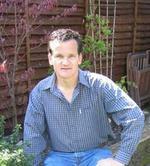 Mike is a Fellow Member of The Institute of Groundsmanship and has worked in the Industry for over 29 years. Mike is a major contributor of technical articles for the Trade Press and he also lectures on Turf Grass Sciences to Green Keepers and Sports Turf Managers and has built up many contacts around the World. There are specialist turf companies and there are specialist pesticide consultant and operatives but in our experience, there are very few, if any, that can combine both of these requirement to deliver a very specialist service to the turf industry. We believe that Weed Free & The Lawn Company offer an extremely succinct professional and exacting service. Mike Seaton - Managing Director of The Lawn Company & Weed Free started his turf culture career at Wellington College based in Berkshire, joining the grounds Grounds Department. He commenced his Institute of Groundsmanship technical qualifications, completing his National Diploma in Turf Culture Degree in 1991. After a spell as Head Groundsman at the Preparatory school of Wellington College, Eagle House School in Sandhurst, he decided to go contracting for a Sports Turf contractor, looking after various professional, semi professional and amateur sporting facilities in South West London. With a desire to go into technical sales, he spent £10.00 on a job advert in The Groundsman Magazine to be offered a job in the sales office at T Parker & Sons based in Worcester Park. After a year there, a Sales Office Managers job came up at Rigby Taylor Limited based in Guildford. Seven years later after managing the Guildford office and Warwick office for this length of time, he decided to leave in March 1994 to work on Weed Free full time, buying a Kawasaski Mule fitted with a 300 Lts Hardi Sprayer - the Kawasaki Mule and sprayer are still going strong however they no longer operate in our daily service since the introduction of the developing Spraying Mantis fleet. Mike is part way through an MSc Degree, a little mad in the head but still keen to extend his knowledge. We are able to utilise over twenty nine years of practical hands on experience and knowledge by providing help and advice through this Lawn Advice Blog & web site. Should you require Turf Consultancy for a sport turf or lawn area, please email us the details of your enquiry. If you have a turf, grass or weed problem, we are confident that you have come to the right place something that we hope you will find really comforting that the search is over finally.